Motivational Speaker Carol Polis: First Woman Professional Boxing Judge is based in North Wales, Pennsylvania and has been a member with GigMasters since 2013. Events typically cost anywhere from $3000 to $5000 and vary based on the specifics of your event. Carol Polis: First Woman Professional Boxing Judge services Montgomery County and will travel up to 10 miles from North Wales, PA. 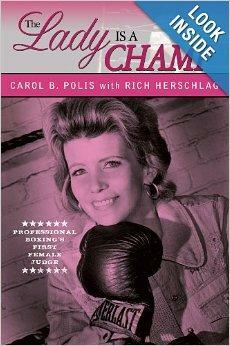 Hire Carol Polis: First Woman Professional Boxing Judge through GigMasters today! 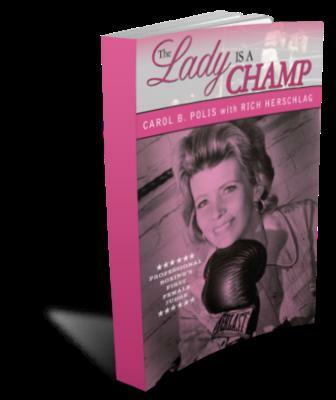 Please note Carol Polis: First Woman Professional Boxing Judge will also travel to Montgomeryville, Gwynedd, Gwynedd Valley, Lansdale, Spring House, Ambler, Blue Bell, Colmar, West Point, Chalfont, Hatfield, Line Lexington, Danboro, Horsham, Kulpsville, Warrington, Worcester, Dresher, Fort Washington, Hilltown, Cedars, Hatboro, Jamison, King Of Prussia, Mainland, Oreland, Souderton, Valley Forge, Warminster, Willow Grove.